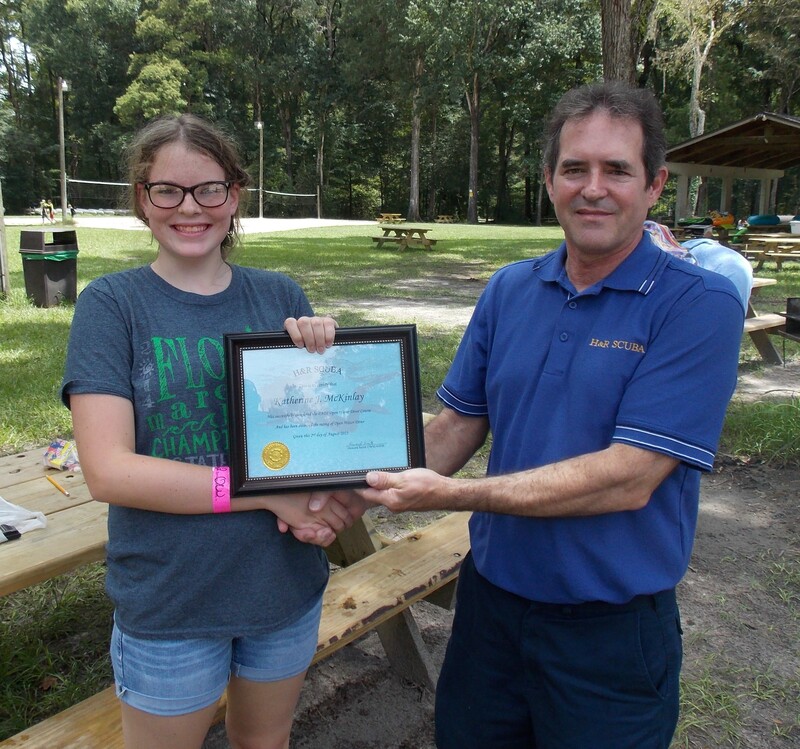 Howard presenting the Scuba Diving Certificate from H&R SCUBA to Reese who is now a Certified Scuba Diver. 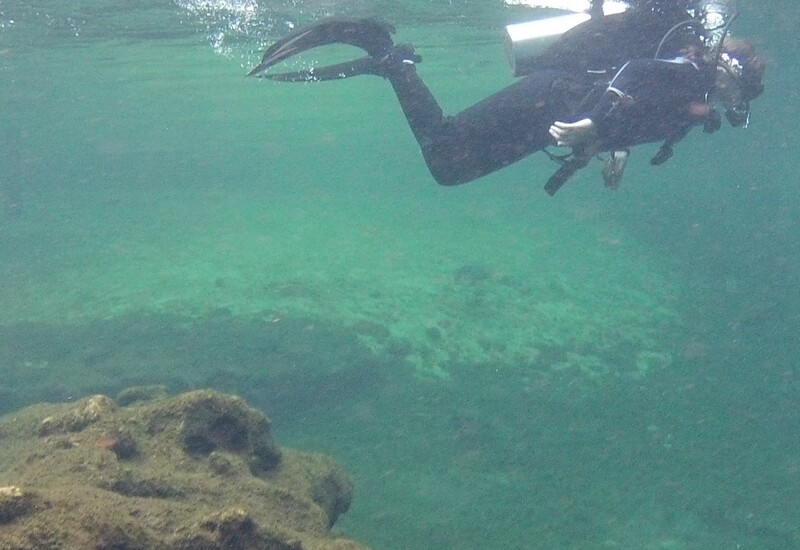 As a special gift from H&R SCUBA the Certificate also has a personal photo on it of Reese underwater Scuba Diving. 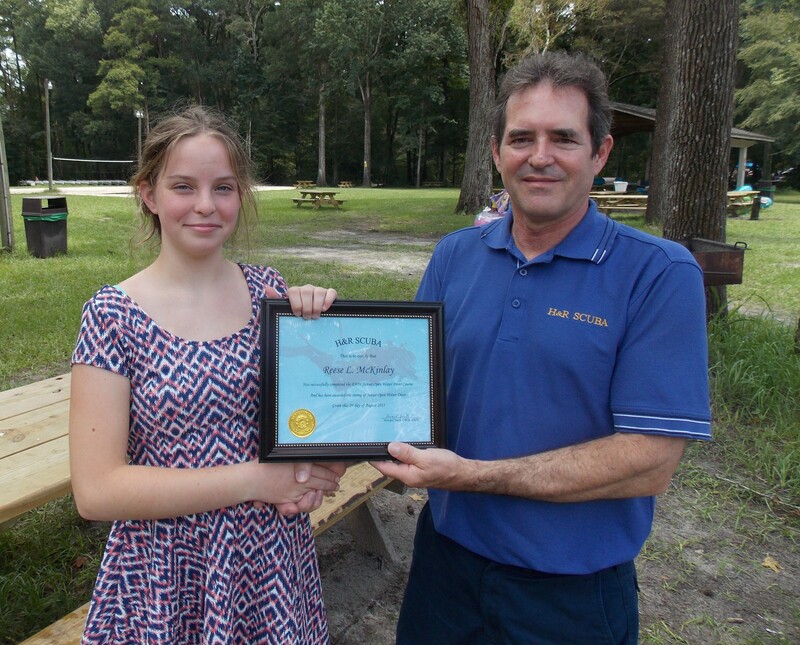 Howard presenting the Scuba Diving Certificate from H&R SCUBA to Kate who is now a Certified Scuba Diver. 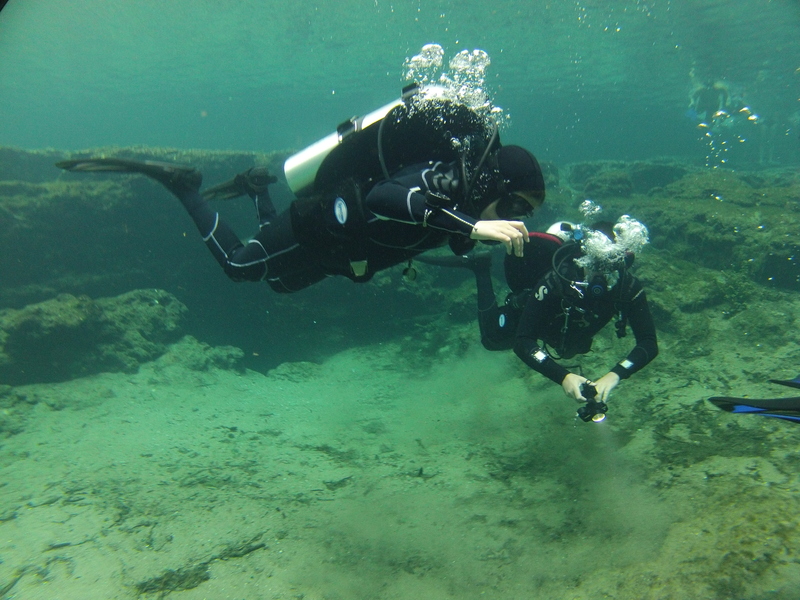 As a special gift from H&R SCUBA the Certificate also has a personal photo on it of Kate underwater Scuba Diving. 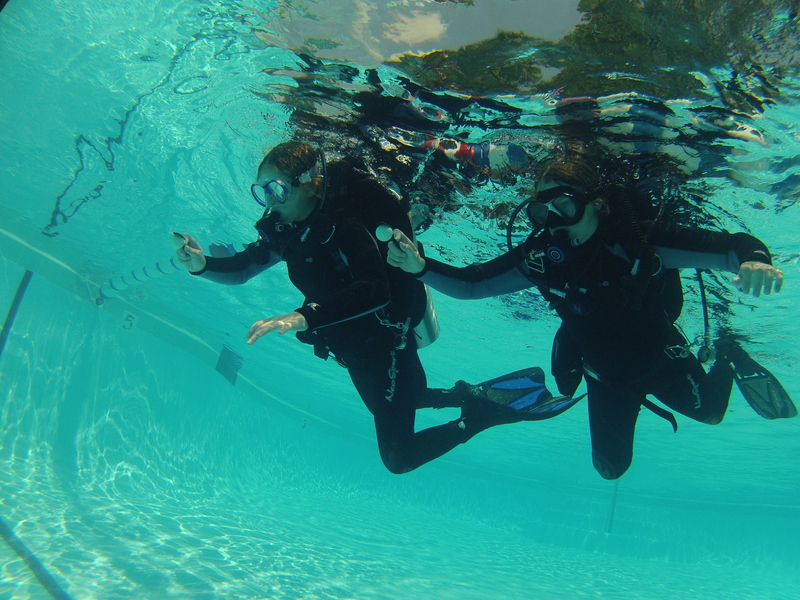 Reese and her Dad Casey during her free-time dive after training today. 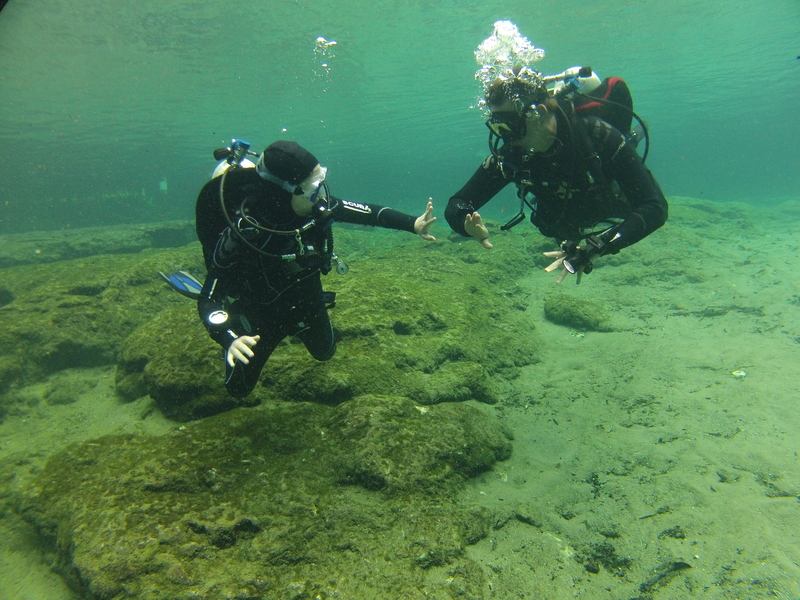 So cool…A Father and Daughter underwater Hi-Five! Kate (on left) with her sister Reese hanging on line while their Dad Casey is watching them from behind. 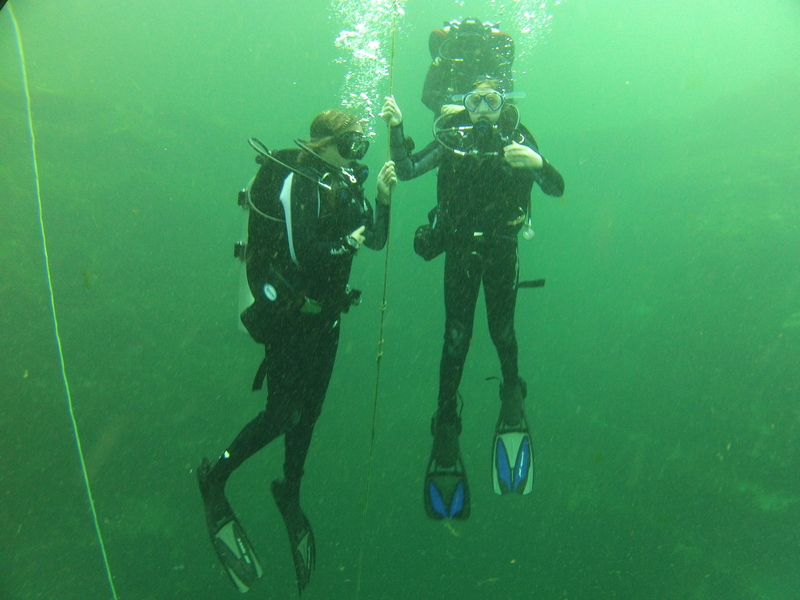 He is so proud of his two young Daughters now taking Scuba Diving lessons!